School’s out for summer! (I hope you read that in the sing-songy voice, because I sure did 🙂 ) But yes, school is out around here in Provo so it’s time to celebrate with some summer lovin’ from the kitchen. 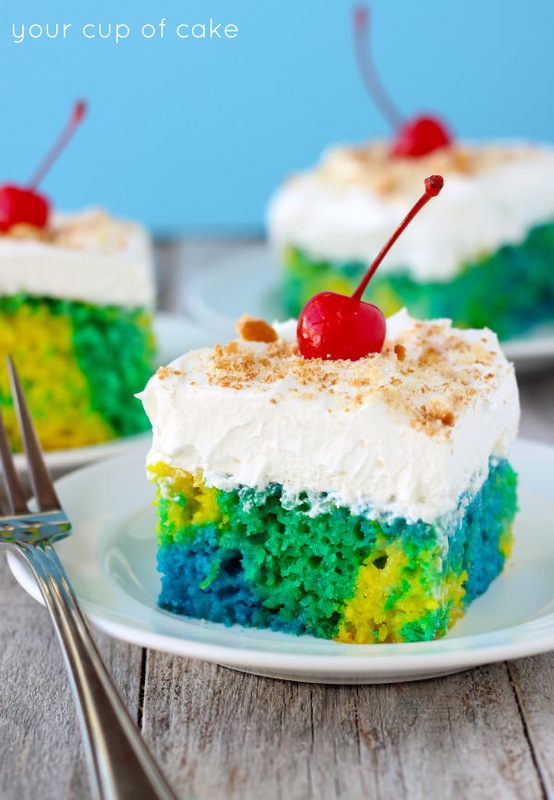 Tie-Die Poke Cake. It’s made with a cake mix, so it’s plenty easy and no-stress. 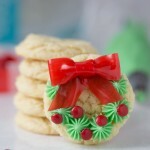 And just top it off with some crushed graham crackers or cookies and with a few cherries to make it gorgeous! So perfect for a birthday party or a picnic. Pick colors to fit your party… pinks and purples for the ladies or maybe even different shades of green to make a “camo” cake! On a personal note… I’m going to be a camp counselor this summer! Woot woot!! I’ll be working at EFY for 7 weeks and I could not be more excited. It’s a camp that changed my life and I really can’t wait to get started. But don’t worry! The recipes will still keep coming 🙂 I’m going to be working like a mad woman to get all the recipes posted ahead of time so you won’t miss a thing! I somehow got it stuck in my head that tie-dye was “cool” for every day of the year. I was a Sophomore in high school and a total loser. So what did I wear in my school picture that year? Wet hair, too much eye liner and a tie-dye shirt. Not even a good tie-dye you buy off Amazon or anything. No, this was a homemade one that didn’t have much color on it at all–it was just lame. 1. Preheat oven to 350 degrees and grease a 13 X 9 inch pan. 2. For each color of batter, mix in a separate bowl. 4. Pour all three colors in pan and swirl colors together. 5. Bake for 25-35 minutes or until an inserted knife comes out clean. 7. Poke holes all over the top of the cake using a fork or something bigger like the end of a wooden spoon. Pour sweeten condensed milk over cake and let sit for 10 minutes. 8. Spread whipped topping over cake, and cover with crushed graham crackers and maraschino cherries! NOTE: You can use a normal Pillsbury White or Yellow cake mix and dye the batter yourself! Just use one box, mix as directed and then separate batter to dye it. 1. Leave a comment on the blog telling me how you plan to “Go Bold” this summer! 2. 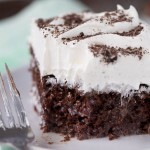 “Like” Your Cup of Cake on Facebook and “share” a recipe from the page! Comment on the blog telling me you did that! 3. “Pin” 3 recipes from Your Cup of Cake and leave a comment here telling me which ones you pinned! 4. BONUS: “Share” another Your Cup of Cake recipe from the facebook page! NOTE: Leave a SEPARATE comment for each entry! Giveaway ends May 1, 2014 11:59 PM MST. Winner will be chosen randomly and will be notified via email and must respond within 24 hours or a new winner will be chosen. I was compensated for this post, all opinions are my own. ©/® The J.M. Smucker Company. Pillsbury is a trademark of The Pillsbury Company, LLC, used under license. I would “Go Bold” this summer buy making a cake with the Funfetti Orange All Star™ Cupcake and Cake Mix for a family reunion this summer; they all would get a kick out of the bright cake. Liked on FB and shared Tye-Dye poke cake recipe!!! 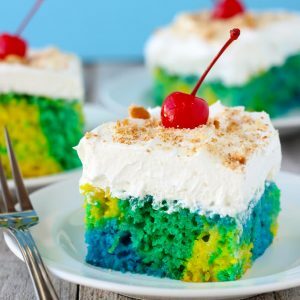 I would go bold by using that Aqua cake mix to make a fun red, white and blue cake for the 4th of July! I would “go bold” by making rainbow cupcakes for my daughter’s birthday. I’m going bold by making your 3 tier cookie dough cake with all different colors of m&m’s instead of mini chocolate chips! I am going bold by making many “fruit flavor” cupcakes! These colors just scream sport’s team. This will be perfect to match the colors to our favorite sports team. i am going to go bold by making bright cupcakes for my sisters bday!!! I recently lost weight so I am going BOLD by wearing shorts for the first time in 15 years this summer. Yay ME! I pinned Blackberry White Chocolate Cupcakes, Double Cherry Cupcakes and Lemon Blueberry Cupcakes. 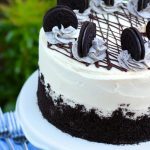 I want to try an object inside a cake. My kids will love this tie-dye cake, can’t wait to try it. 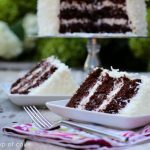 I’ve pinned so many of your recipes, I don’t know where to start. Oreo cupcakes, homemade oreos, german chocolate cupcakes. I just made the peanut butter brownie cookies for Faith in God reward treats last week. Total hit with the kids!!! To go bold this summer, I am cutting off all my hair! I am so sick of it, so I am going short for a while! To be bold I am planning on making lots of delicious new recipes including a summer trifle! I think the neon yellow cake mix would actually be a perfect compliment for the strawberries I intend to use! I plan on going bold this summer by no longer working and staying home with my kids. I liked you on facebook & shared your tie died cake recipe. I assume this would make about 36 cupcakes? I assume this could also make 36 cupcakes? Sorry for duplicate question, computer kept doing something weird with the password thing. I will go bold this summer by bringing my kids on a vacation to somewhere fun that we haven’t explored yet. Pinned the Peanut Butter Brownie Bites, Lemon Cream Cheese Cupcakes and Cloud Cupcakes. I want to go bold with gelatin salads – having crazy colors and sneaking in the carrots and celery, or pieces of fruits and berries! And don’t forget the whipped cream for the top! I want to go bold this summer by dying a few streaks of my hair blue and making some of the aqua blue cupcakes to match!! I plan to go bold by running my first marathon! i will go bold this summer by making this tie dye cake for my granddaughters birthday in august, she loves bright colors & tie dye so that is a win for me since i make all the cakes, thanks for the great idea! I’m gonna “go bold” by going to soccer camp for the first time! I will go bold by making red, white and blue cupcakes! I would definitely use these bold colors to make cup cakes; such a relief to not use those food coloring bottles that always get all over my hands! I liked Your Cup of Cake on Facebook and I shared your Cookie Dough Cake! It looks amazing! I shared your peanut butter brownie bites on Facebook! I pinned your lemon cream cheese cupcakes! I’m going to “go bold” this summer by doing more exploring. Do more camping, more hiking, and generally just seeing the sights around me. If we’re talking about baking though, I’ll “go bold” by trying new techniques on cakes. There are several holidays over the summer, including my anniversary, hubby’s birthday, and 4th of July, all of which I hope to use to practice my cake decorating. 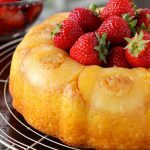 I pinned your pineapple strawberry bundt cake! I pinned your Mint Oreo Cupcakes! I will go bold by chopping my hair off!! 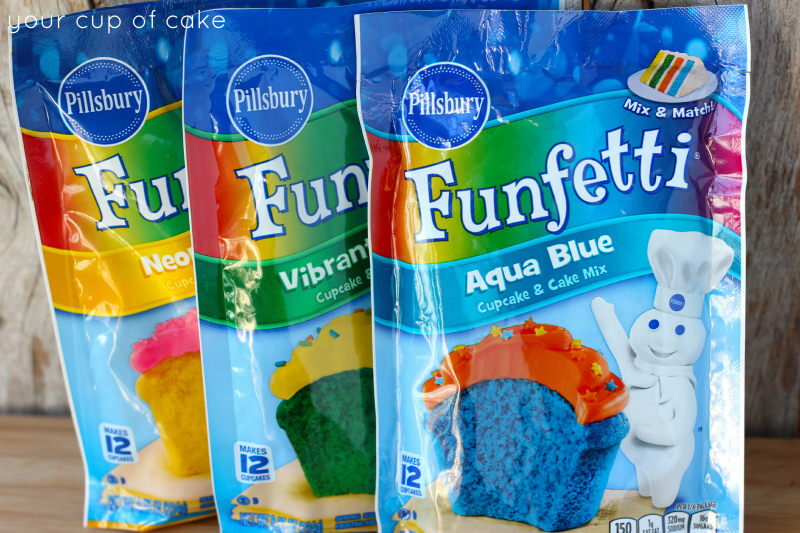 I am going to go bold by making fun colorful cupcakes with my kids this summer. I love Your Cup of Cake on FB and I shared the maraschino cherry cupcake recipe! I shared the Neapolitan cupcake recipe on FB! I pinned the snowcone cupcakes, chocolate almond raspberry, and chocolate cake batter! And many many more! I plan to “Go Bold” this summer by using some of the Funfetti options to make great desserts in bold colors for our backyard barbecues. And I’ll use some with bright decorations to match! I’ll go bold this summer by taking my kids camping (a first for our family). We’ve always wanted to go and this is the year! 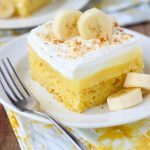 Liked your facebook page and shared a recipe there! Shared another recipe on facebook! 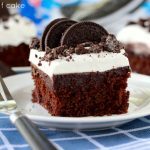 Pinned 3 recipes! Chocolate Almond Raspberry Cupcakes, Homemade Golden Oreos, and Chocolate Zucchini Cupcakes… yum! I plan to go bold this summer by planting out my garden heavily with flowers. I would go bold this summer and make a polka dot cake. 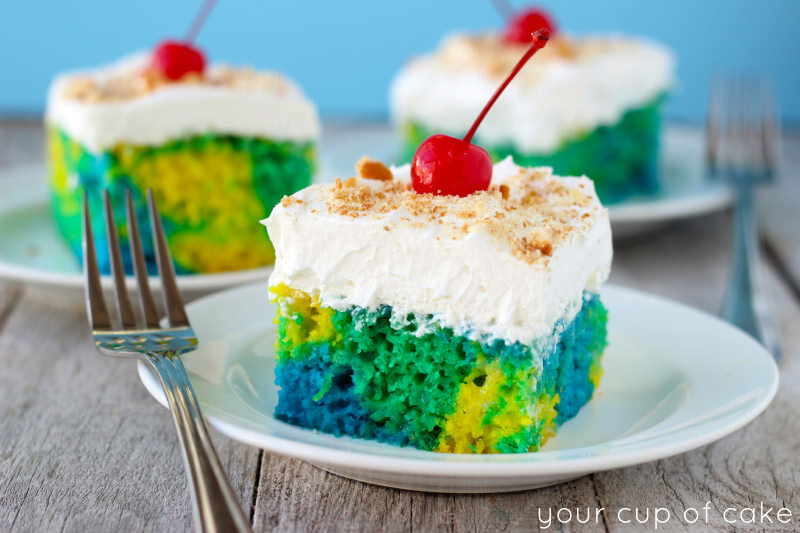 I will “go bold” this summer by making this fun tie-dye cake! I will “go bold” this summer by making this cake for our annual summer picnic!! SO fun! It looks delicious & easy too! http://www.pinterest.com/pin/275141858459575970/ your best banana bread ever recipe-looks amazing! I am going to go bold by getting out of the house more and spending time in the sun with my 2 year old! Lizzy: you are so inspiring with your great recipes. I liked your page on Facebook and shared the Key Lime pie cake. I pinned black berry lemonade cupcake! I pinned tie dye poke cake! I pinned rocky road cupcake recipe! Shared the tie dye poke cake recipe and giveaway on fb! 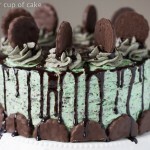 I pinned three recipes: cloud cupcakes, mint oreo cupcakes, and mint brownies. I am going bold by making this amazing recipe discussed in the post. The Tie-Dye Poke Cake! That’s awesome!! 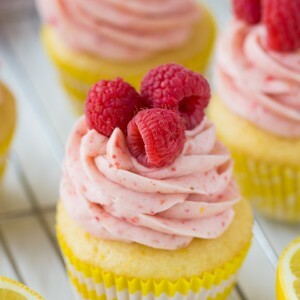 Liked Your Cup of Cake on Facebook as Amy Orvin and shared a recipe: Lemon Neapolitan Cupcakes! Bonus – Shared another recipe from your FB page – Maraschino Cherry Cupcakes! go bold by training for a half marathon! I’m going to go bold this Summer by trying daring outdoor activities – zip lining, rafting and paddle surfing down the river! I’m going bold this summer with a canary yellow swimsuit! My most recent pins are your Strawberry Pinà colada cupcakes, Chocolate Coconut Ganache cupcakes and diy white and chocolate cake mix recipes. All of which are wonderful! I never received so many compliments on cupcakes before! I’ll GO BOLD by trying new recipes instead of sticking to the tried and true ones. I plan to go bold this summer with my clothing – try some new patterns/colors I wouldn’t usually wear and just have FUN. I like you on FB and shared one of your recipes – brownie batter cupcakes. I shared another recipe on FB – Garden Carrot Cupcakes. I am going bold by having a baby in 2 weeks! I’m going to “go bold” by starting to bake my way through an entire cookbook! I would go bold with the aqua cupcakes for my daughter’s Frozen birthday party. Shared your brownie batter cupcakes on my facebook page. I would go bold this summer with bright and cheery aqua cupcakes sprinkled with graham cracker crumbs to look like sand for some sand n sea cupcakes! I’m going bold this summer by going to one of my best friends weddings in Napa. So glad he get’s to marry his partner, just like I got to marry my man! I already like you on FB….shared your Garden Carrot Cupcakes recipe. I pinned Piping Tips, Snickerdoodle muffins, and chocolate chip cookie dough cupcakes. Im going bold by maybe cutting my hair short? Not sure yet but it might be a fun new change! I pinned those amazing looking brownie batter cupcakes! I’m gonna go bold by making rainbow cupcakes for my son’s birthday!!! I’ll be going bold by wearing orange this summer. My usual wardrobe is black, white, and gray with the occasional blue thrown in there. I pinned the Almond Joy Cupcakes! I made them and they were so delicious!!! I pinned the rocky road cupcakes. I can’t wait to make them!!! I plan to “go bold” this summer by moving two states away to attend culinary school to pursue my passion and hopefully open up a cupcakery someday!! You have most definitely been one of my sweetest inspirations, Lizzie, and I can’t thank you enough! I have “liked” Your Cup of Cake on facebook! I shared the Brownie Batter Cupcakes on facebook! I also shared the Heath Buddy Buddies on facebook! I also pinned three cupcake recipes to my wall: 1)Cranberry White Chocolate 2)Maple Bacon and 3)Raspberry Lemonade–yummo!! I’m going to go bold this summer by going skinny dipping! I shared the Tie Dye Poke Cake recipe on facebook! I pinned the Peanut butter filled chocolate cupcakes, the red velvet cupcakes, and the andes mint cupcakes! I shared another recipe on facebook…the heath muddy buddy one. I can’t wait to try all of these puppy chow recipes! I’m going bold this summer by throwing my niece a Frozen themed birthday party! Wish me luck! I have a cupcake board on Pinterest and a LOT of the recipes come from this site! A favorite at work is the banana chocolate with hazelnut buttetcream! It gets requested at almost all birthdays!